Those with a chronic illness often fall into deep depression as you feel your body giving up on you. Having something to accomplish can help fight this black dog and for me it was crafting, every new item I finished gave my heart a surge. Eventually I realised I was not going to be able to work as I couldn’t predict how I would feel, or how my mobility would be day-to-day, I had to rely on benefits from the Government. However, this Government seems intent on attacking the benefits from those who need it, so I needed a way to make money while still protecting my health. While trying to get advice from other crafters I found people who weren’t supportive of a newbie, demanding I change my prices as I was too cheap and ruining it for them, the “real” businesses. It was heart-breaking. 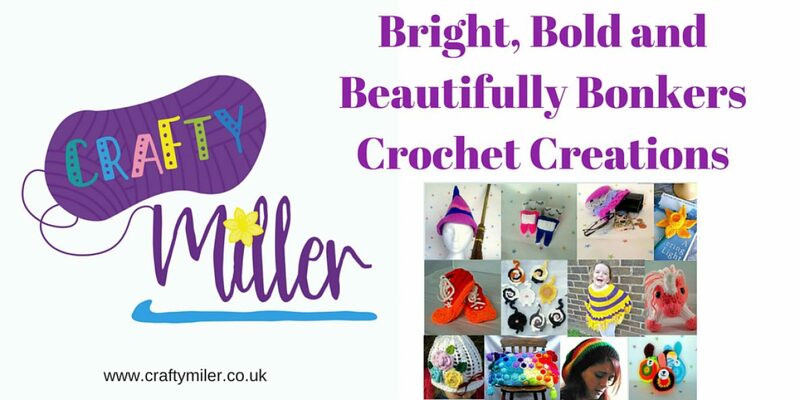 Conscious Crafties is a handmade craft buying and selling community for creative people living with chronic illness, disability or caring for those affected. It’s built by a Spoonie for Spoonies. Hi there, I’m Karen and after becoming sick in 2011 almost overnight, I found my way to various support networks. I noticed that many of us turn to crafts to help distract from our illnesses and to feel useful again. Seeing so much untapped talent, the idea was born to create a community for everyone to showcase their work, in one place and give people a way of creating their own business. It was also a way for me to feel useful again, by using my skills to help others. Conscious Crafties is about empowering us all to be successful through our crafts, tell our stories and meet new like minded friends who understand our struggles. I’m also hoping it plays a key part in changing the way disabled/sick people are viewed by the world. We can still contribute and are incredibly talented!! Conscious Crafties has been built in honour of Sam, my beautiful friend I met through sickness and our love of crafts. Her strong fight with Gastroparethis and POTS sadly ended in Oct 14. Heartbroken, I knew then, after years of thinking about it, the idea for us all to sell our crafts within a supportive community needed to be launched, so it could help people now and give them hope for the future. There is no joining fee or subscription, it’s free to list and when your item sells a small percentage is taken to keep the site running. I applied to join, there’s a waiting list as they’re so popular! 😀 Just after Christmas, I was allowed to join and I swear, it’s been the best I ever did. The support from the community is immense and Karen, who runs Conscious Crafties, is BEYOND helpful, going out of her way to help you list, to the best of your abilities. So if you’re a Spoonie, or support a Spoonie that needs to feel accomplishments, PLEASE, take the support that’s out there and come join the community. Posted on February 15, 2016 February 15, 2016 by craftymillerTagged carers, Chronic Illness, Chronic Migraines, community, Conscious Crafties, consciouscrafties, Costochondritis, Crafty Miller, Crochet, Facebook, Fibromyalgia, Iritis, Myclonic Jerk, Pain, Sciatica, Selling Tips, spoonie, support, Temporal Mandibular Joint Dysfunction, The Spoon Theory, Tinnitus, TMD, TMJ, Twitter. Previous Previous post: So you want to sell your crafts? Crafty Miller aims to reply to messages as soon as they're sent. Please note after 8pm, you may not receive an answer until the morning.